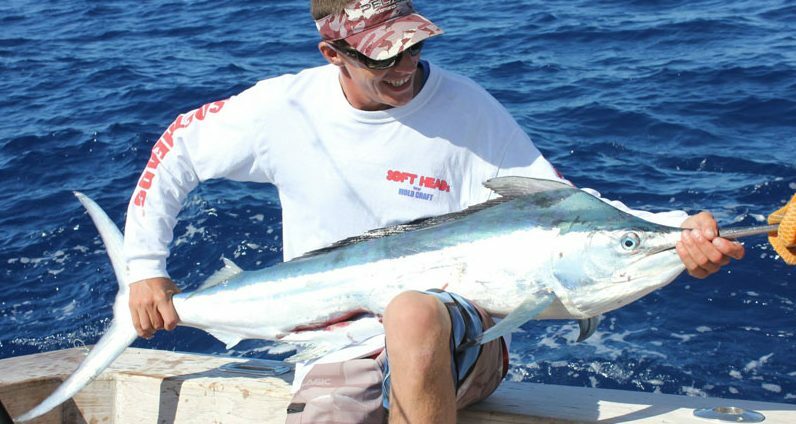 GBR Sport Fishing Cairns offers reef and sport fishing charters out of Cairns, fishing on the great Barrier Reef for Red Emperor, Coral Trout, Giant Trevally, Nannygai, Makeral, Wahoo, Tuna, Black Marlin Dolphin Fish and much more. CATERING. Lunch and cold drinks are provided. YOUR CATCH. Your fish will be cleaned, bagged, iced and ready for you to take home. 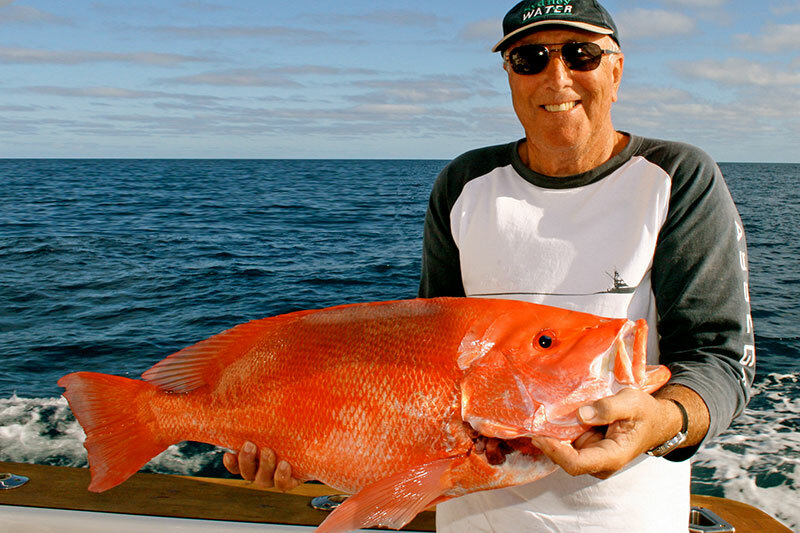 Shared Reef Fishing $280pp min 4 people – max 8 passengers. Sole charter $1500 Max 4 people – any extra people share charter pricing applies. Sole Charter $1500 – Max 4 people. Introducing our custom built vessel The Maker. 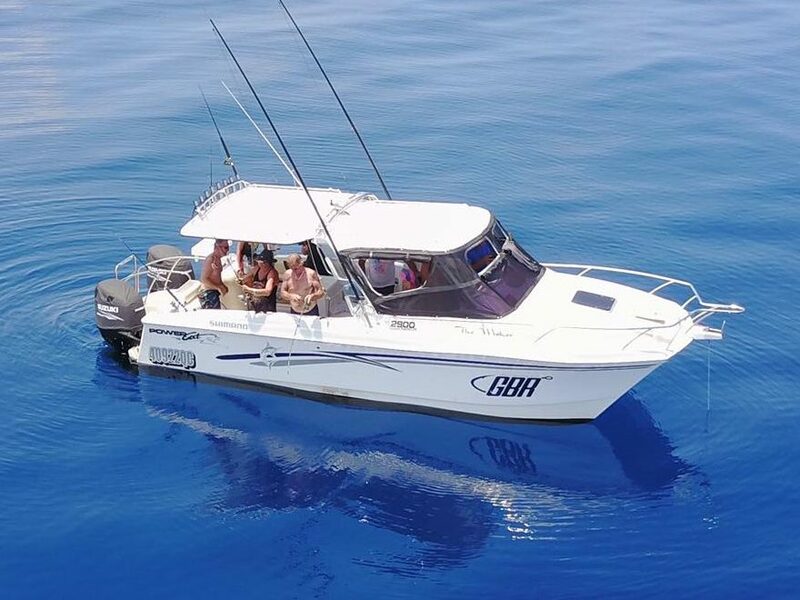 Our 31 foot powercat is the perfect vessel for accommodating sole charters as well as share charters in small groups. The boat delivers a smooth comfortable and dry ride that is second to none. She is powered by 2 Suzuki 250hp outboards, and with a cruising speed of 25 knots, will get you to the fishing grounds andfishing faster. Built in 2C survey for a maximum of 8 passengers + 2 crew, with safety, fishability and comfort (yes we have a toilet on board!) in mind!